Running a website involves a huge number of tasks, which invariably translates to a massive number of tools that you interact with on a regular basis. Talk about a headache. That’s where Slack comes into the rescue with its ability to integrate many of the best online tools available at the moment under one simple to use platform, while at the same time enabling you to communicate effectively with the rest of your team. Over the course of this article, we will cover how to integrate basic WordPress notifications into Slack, as well as many other apps which can be of use – not only to WordPress users, but to anyone in search of an efficient collaboration tool. If you work in any field related to web development, design or pretty much anything that involves online collaboration, you’ve heard about Slack by now. Not only is it massively useful, it also has a pretty cool origin story. Slack’s ability to streamline collaboration is what lies at the heart of its meteoric rate of adoption during the last couple of years. Sure, the chat and channel functions are pretty great, but they’re hardly groundbreaking. It’s the integrations that will actually make your work life easier and if your team hasn’t taken the time to set some up yet, you’re losing out big time. Think about it this way: you’ve taken a lot of time to collect some great tools along the way for everything from file sharing to social media management and customer support – all you need now is a proper toolbox to organize and keep track of them all. For most people, this toolbox is their email, which in most cases wasn’t designed with the express purpose of optimizing your workflow. 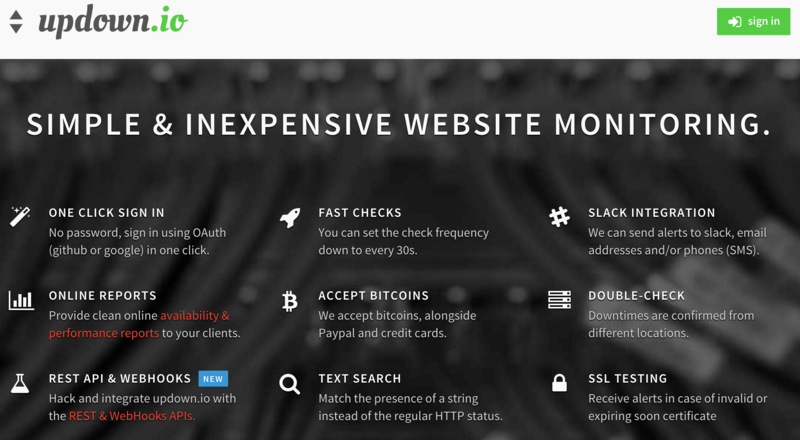 Let’s take a WordPress website as an example. If you’re serious about growing yours, you’ll need to set up and manage a newsletter, social media accounts, interact with viewers or customers, collaborate with others to complete tasks, and make sure nothing on the site is broken. It’s a monumental amount of tasks, which could be tackled effectively through a private Slack for your team, with the appropriate integrations. For your consideration, we’ve compiled a list of the best integrations available today, so you can decide which will suit your unique needs. Most integration setups are as simple as filling out a couple of forms, so we’ve saved instructions only for the most complicated of the bunch. Sadly, there’s no official WordPress integration to send notifications regarding your site over to your Slack chatroom. Fortunately, the WordPress community (as you would expect) didn’t take long to correct this oversight with a combination of plugins and hooks. As far as plugins go, our choice lies with Rock The Slackbot, which despite being very recently launched has turned out to be the best tool to get the job done. 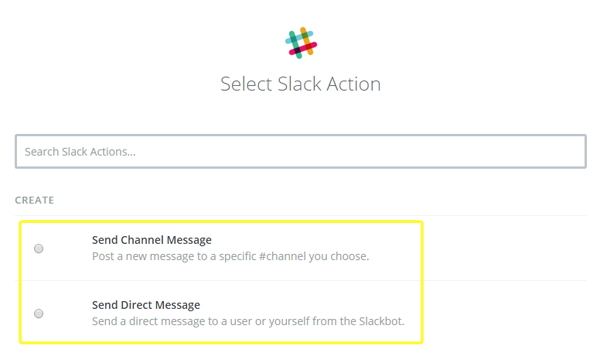 Copy that and paste it in the corresponding Rock the Slackbot option and finish filling the rest of the fields. 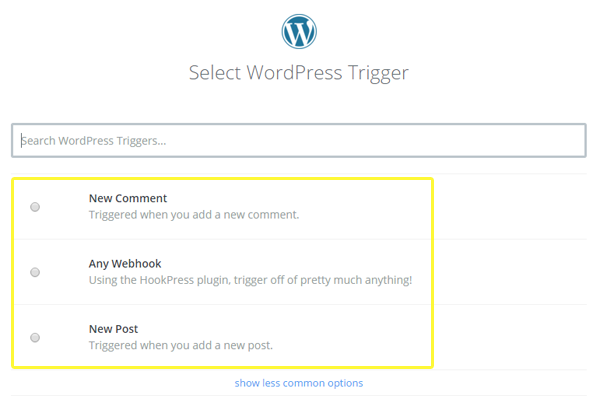 At the end of the form, you’ll be able to select which events within WordPress will trigger Slack notifications. You can either go the general route and have a single WordPress channel in which to receive all notifications you’re interested in, or break them down into different channels if you expect a lot, for easier digesting. We’ll forgive you if you haven’t heard about Twitter. After all, the social media platform (or microblogging service, as it calls itself) can only boast around 305 million unique users per month. Once you’ve integrated Twitter into Slack, any posted tweets will display in full, including their attached media. However, the real power of this integration comes from the ability to keep track of tweets sent to and from any account you choose. 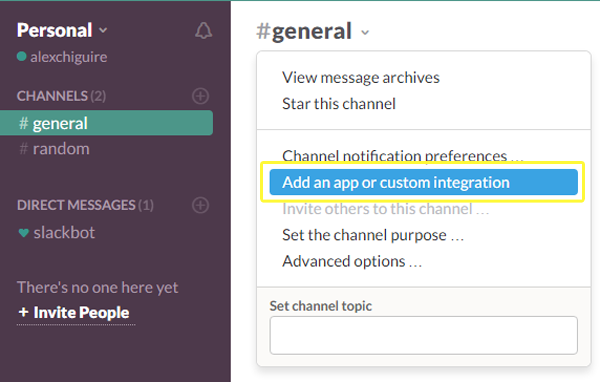 Each account you choose to follow within Slack can be set to automatically post new tweets to either existing or new channels. You could, for example, have a channel dedicated to following news accounts in order to keep up to date with the latest developments concerning your site’s field. Another possible use would be to keep track of your competition’s Twitter accounts, check out what they’re doing and if they’re receiving any positive feedback within their user interactions (or simply keep track of your own). 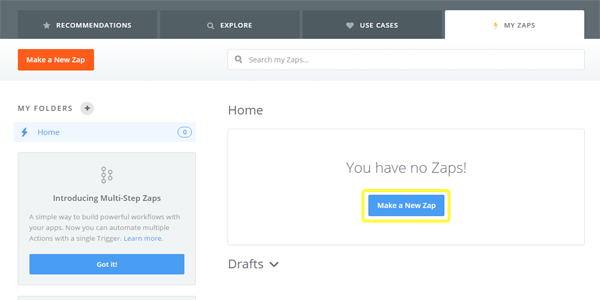 MailChimp is without a doubt one of our favorite email marketing and newsletter tools. It enables you to easily access data such as average open, click and subscription rates, has flexible design options, can be integrated with multiple e-commerce services, has great mobile options and can be integrated with many services. We’re here to talk about Slack though, and the integration between both services will give you the option to receive updates whenever someone subscribes, unsubscribes, and check on the status of your campaigns. 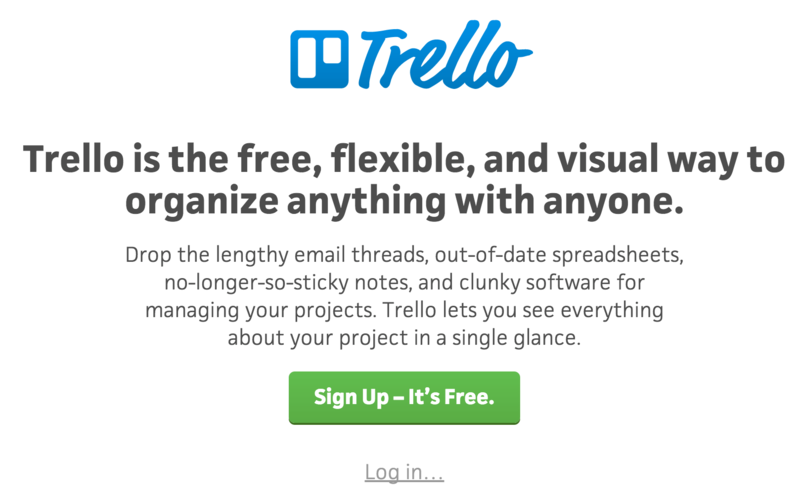 If you haven’t had the chance to use Trello yet, what have you been doing with your life? Kidding aside, developers and designers are always among the first ones to flock to the next big organizational tool, but this one’s pretty darn good. For those who aren’t members of the cult yet, Trello is an organizational and scheduling tool based on lists and cards which enables teams to stay coordinated and offers integrations with other services such as Google Drive, Dropbox, and of course, Slack. By integrating Trello within Slack you can receive notifications from all your lists, boards and cards (the level of which can be fine-tuned). You can further use Slack to stay on top of tasks by asking your friendly neighborhood Slackbot to remind you of these notifications at a later date if you’re busy. So for example, if a coworker were to ask you to finish a blog post for your WordPress website before a certain date using Trello, you would receive a notification on Slack and set up a reminder before that due date. Thank you, Slackbot! Wunderlist is another work collaboration tool with a simple premise. Keep your life and work organized using simple lists with reminders and the ability to check something off when you’re finished. Take our word for it, there’s nothing quite like the feeling of finishing an important task and being able to tick that checkbox. Once you’ve integrated Wunderlist into Slack, you can interact with the app through a few simple commands. For example, /wunderlist tasks will show you a list of all your pending tasks and /wunderlist add [Insert your task here] will enable you to add tasks directly from Slack. There are plenty of other commands though, all of which you can check out using /wunderlist help. Each one of us has a preference between both of these services, but we’re not here today to pass judgment on either of them. Both Skype and Google+ Hangouts can be integrated into Slack in order to perform similar functions; that is, to start video or voice calls within any given channel among its collaborators. A lot of Slack users (ourselves included) have flocked to the service exactly because it renders conference calls and meetings redundant thanks to its wide variety of features. However, sooner or later you’re going to want to discuss something either via voice or video call, and having these apps integrated will save you the trouble of tracking down the individual usernames of all you work associates. All you have to do to start a call within a channel is type either /hangout or /skype. Much like our last point, we’ll refrain from picking favorites since this discussion tends to get even more personal than Skype versus Hangouts. In fact, there’s no reason why you shouldn’t add both of these integrations simultaneously and let your workmates personally decide which links to use. We mention links because this integration works by detecting links from either Dropbox or Google Drive when pasted into a channel and show a preview. Other members will then be able to add comments to the file, download a copy or directly add it to their own accounts within these services. Zendesk is a powerful customer service tool which enables organizations and sites to centralize their service tickets into an easy-to-use interface. It highlights issues which require urgent attention, makes it easy to bring other people into each conversation and provides support agents and supervisors with analytics in order to track their performance and how customers feel about their level of service. When it comes to a running a site, you might not have to deal with as many levels of oversight as a big organization, but that doesn’t mean that you should ignore good customer service. By integrating Zendesk with Slack you will be able to receive notifications for a number of events such as new tickets, solved issues, pending tickets, etc., all of which can be assigned to specific channels for easier tracking. Sure, Zendesk is a great tool, but some people would rather not have to deal with opening and closing tickets or might just simply prefer a more direct approach when it comes to customer service. If that’s the case for you, Chatlio might be more up your alley. This tool was developed especially for Slack and what it does is enable you to set up a small chat window on your site. This chat enables your customers to interact directly with you, and for you to answer straight from your Slack. On top of that, it also can be set up to show you some customer data such as local time, browser, operating system, login ID and emails for follow-up purposes. This nifty little tool simply checks periodically whether any given site is showing any anomalies such as request errors, slow response speeds or simply regular downtimes. Once integrated into Slack, you can dedicate a channel just to these kinds of notifications so you’ll always know right away if there’s something wrong with your site (or host). This integration works a little differently than you might expect. Rather than directly integrating with major email services, you will be given a unique address each time you add this integration to any of your channels, which will redirect all incoming messages right into your Slack. You could configure it so that this address would receive copies of all support emails from a contact form on your website, for example. Use it to subscribe to mailing lists or pretty much anything else you can think of, despite being simple, this is a very flexible integration. Much like the first point on this list, this isn’t an official integration. But this online tool is so darn useful that it definitely deserves a breakdown. 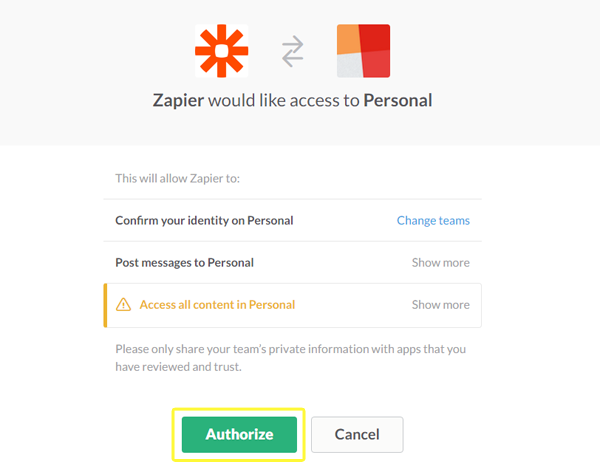 Zapier is a service much like IFTTT (If This Then That) which enables users to create chains of action when certain conditions are met. 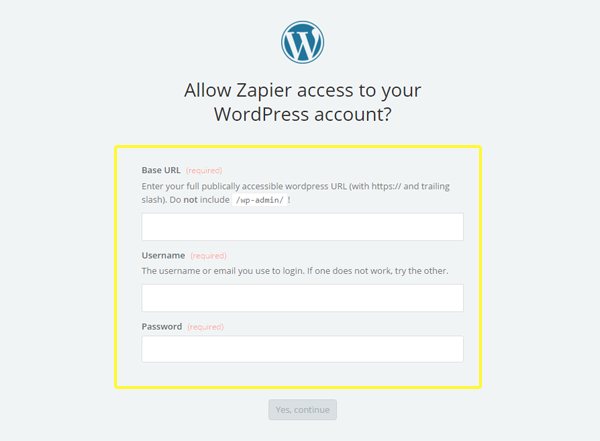 In our case, we could, for example, link a WordPress account to Zapier, and make it so that each time someone creates a new post therein, a notification would be sent to a specific Slack channel. Which is exactly what we’re going to teach you how to do right now. Voilà! 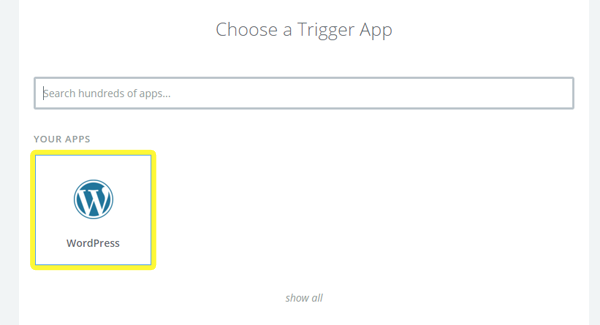 You’ve finished integrating WordPress and Slack using Zapier and now you can repeat the process as many times as you’d like with other triggers. While Slack can’t make all the work involved in running a website disappear, it can certainly help you save some valuable time and become that much more efficient thank to its integrations. Start a Slack chat room for your website and invite your collaborators. Create the necessary channels to handle each task separately right from the start (don’t do it all on a single channel!). Add the integrations you deem pertinent to your workflow. 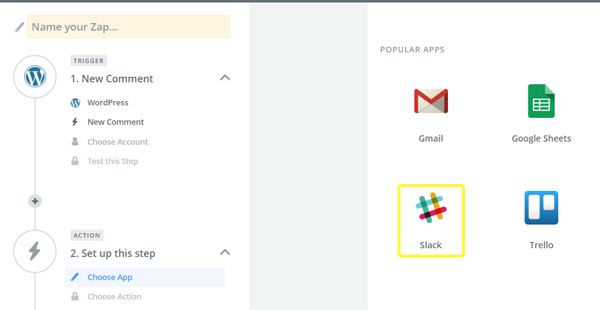 Check out Slack’s catalog of apps to see if there’s any other integration you might find useful. Has Slack helped to simplify your work life? Share your experience with us in the comments section below! I know I love using it with the Elegant Themes team. Well, WP Propeller, keep this article bookmarked for when you do! We love slack. Our emails to each other (employees and such) is almost nil now. Thanks for Updown.io Tom, going to look into this. Besides company communication, file sharing and now voice, which are all built in, we love the ZenDesk and Trello integrations. Company email can go ahead and die, right? I know I don’t miss it! Hey Brandon, we’re glad the article was an inspiration! I thought I knew a bunch of integrations, but good grief there’s a ton more I had no clue about. Great post, thanks! Nice Post, Can you guys do a post on integrating wordpress with phonegap to create complex mobile apps ?? We can certainly look into it. I’m not familiar with phonegap so I’ll have to check it out and see if it’s a good fit. Nice article, but why not use buddypress and build project features for team collaboration and project management? You bring up a good point bb. By using the BuddySlack plugin, you could integrate Slack and BuddyPress and get the best of both worlds! Personally, I think this is one of those instances where the right answer to the question is not “WordPress”. Slack is a tool specifically created by an extremely talented team to solve the problem of communicating/collaborating with a team online. 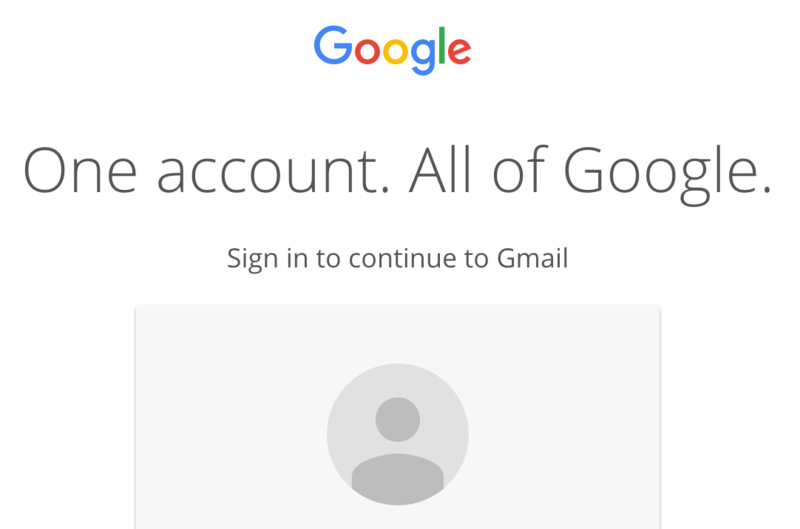 As you can see, they already have apps for desktop, web, and mobile. 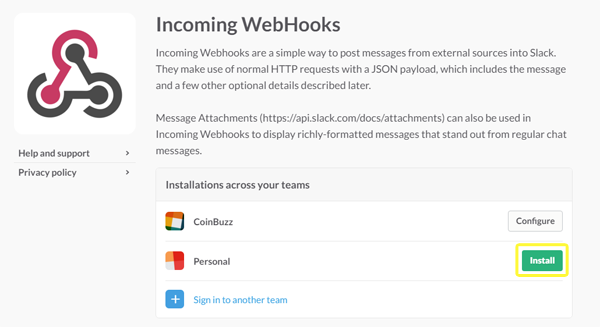 And integrations that help people and businesses customize their use of Slack to their specific needs. It would be a great duplication of time and effort to try and turn WordPress into an application that already exists and will probably do what most people need it to better than WordPress and BuddyPress can. No worries, Ben! Thanks for your kind words! OMG… I really didn’t know such a powerful system could be created from such wide range of services, most of which are free as well. No problem, Imran – glad you found the article useful! Very good article that unleash the power of slack. I have been using slack but not aware of this much stuff can be bundled together. I’m Gonna Try This Plugin Soon. By The Way can Slack Be used in a subdomain? Yes definitely! Just head to Team Settings > Change Team Name to alter the URL. A very great info where you unleashed the power of Slack. I must admit that Slack improves our internal communication in many different ways. The possibility of integrating it with other apps is one of the coolest features, and we’ve just released a brand new integration at https://brand24.net. It streamlines all the notifications from a chosen Brand24 project into a Slack channel of your choice. That means that team members get to see the mentions at the same time, in one place and can engage them quicker. https://brand24.net/integrations/slack/ is the place where you can check more details about it!